Why Outsource SEO to India? SEO in India is definitely affordable as compared to other countries like USA, UK, Canada, Australia etc. Since the manpower cost in India is cheaper, Indian SEO companies can offer unbelievably low cost packages. During last decade, there has been a significant growth in the SEO industry in India. Most of the Indian SEO companies have a large number of staff members, therefore they are capable of delivering satisfying results in a timely fashion. Although not all, but most of the SEO companies in India have efficient SEO project managers who can communicate very well with their international clients. As a result, there is no communication gap regardless of the geographical differences between two parties (SEO vendors and their clients). Almost every SEO company in India have their own in-house web design & development team. Having said this, they have expert web designers and developers who can take care of all the on-site SEO issues of your website. Therefore, SEO companies in India serve as a one-stop shop for all the businesses. Are All SEO Companies in India Good? All fingers are not same and so is the case with Indian SEO companies too. One can’t blindly trust any SEO company without having a due diligence check on their previous works, clients testimonials and content of their SEO packages. By hiring a SEO company in India, you don’t outsource only your website optimization, but you also hand them over your business branding and reputation. Black-Hat SEO: If you’ve hired a SEO company in India that do black-hat SEO activities to get top rankings in few weeks, you’ve probably done a big mistake. Black-hat SEO activities are bad not only for optimization of your website but it also cause a huge damage to the reputation of your business. Wrong Business Understanding: Again, if you hire an Indian SEO company that don’t have skilled project managers to understand your business well, they will definitely spoil the reputation of your company and the most drastic problem is that this loss is almost irreparable. You must take every possible precaution before hiring a perfect SEO company for your business. We know that India is one of the favorite options for all businesses to outsource their SEO projects. But is it easy to find a reliable SEO company in India whom you can trust and handover your businesses reputation to? It’s a bit challenging job to find a good Indian SEO company however by following few precautions, you can definitely find one. 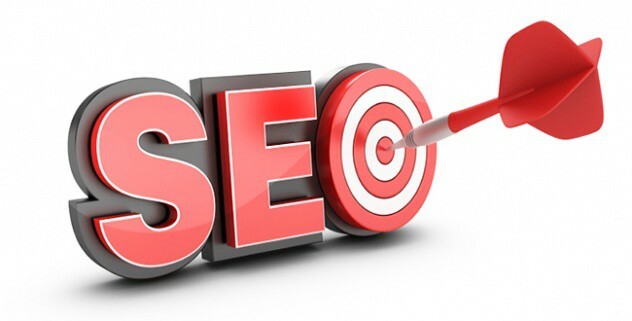 Below are some of the pre-requisite that you must look in SEO companies of India. Before you hire any SEO company in India, do make sure to check their previous works. Most of the SEO companies would showcase few of their ranking achievements on their website, but if you don’t find any, do not hesitate to ask them some of their best jobs done. Contacting existing or past customers of your shortlisted SEO company will also be helpful to award your project to them. You can email or call their existing customers and ask them about the quality and services of your SEO company. There could be nothing like the first hand experience of other customers. Communication is a very important skill to consider before you hire any SEO company because if your SEO team is not able to understand your expectations, how can they help you to achieve your business goal. In most of the cases, SEO companies would keep working on their own agenda irrespective of what their clients wanted. For instance, if the primary goal of a business to hire Indian SEO team was to get more traffic on their website, their SEO team just focused on rankings of few keywords and considered it as a success. Because they never understood what their client wanted, they keep working on a different objective and as a result, conflicts arise between both the parties. It is very easy to determine whether your chosen SEO company has communication skills or not. You can simply arrange a telephonic discussion (through a phone call or Skype) and express your concerns & expectations for your SEO campaign and ask them to revert back with a plan & ideas to achieve your objective. SEO reports allows you to see how the strategies & campaign as a whole is making a difference behind the scenes. Not only this, but with SEO reports, you can easily figure out what are the strategies that are not working at all and what are the activities that need to be improved. Your chosen Indian SEO company must be able to present the SEO facts & figures in a well documented report. You can ask them to send some of the sample reports across before you decide to hire them. You must make sure that their reports should be easy to understand because there are several SEO companies who would send you a complicated technical report which may be difficult to digest especially for the webmasters who don’t possess enough technical skills. Previous How Much Is The SEO Cost In India? How Much SEO Companies in India Charge?